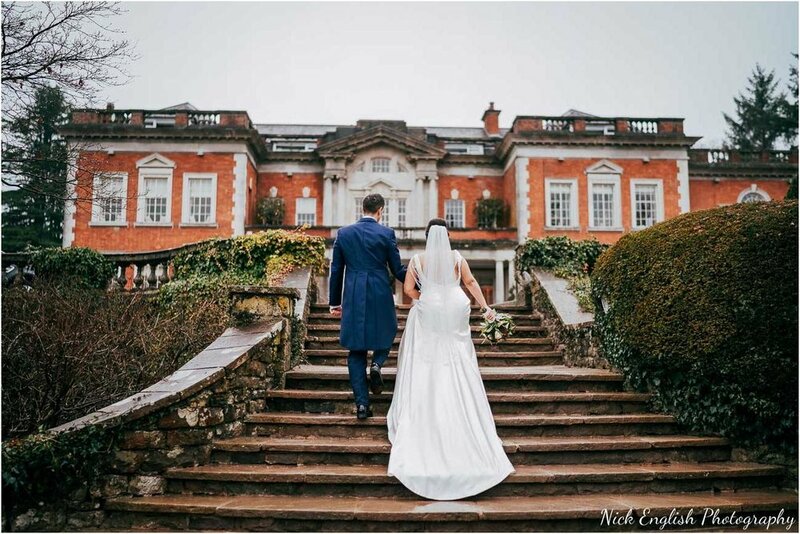 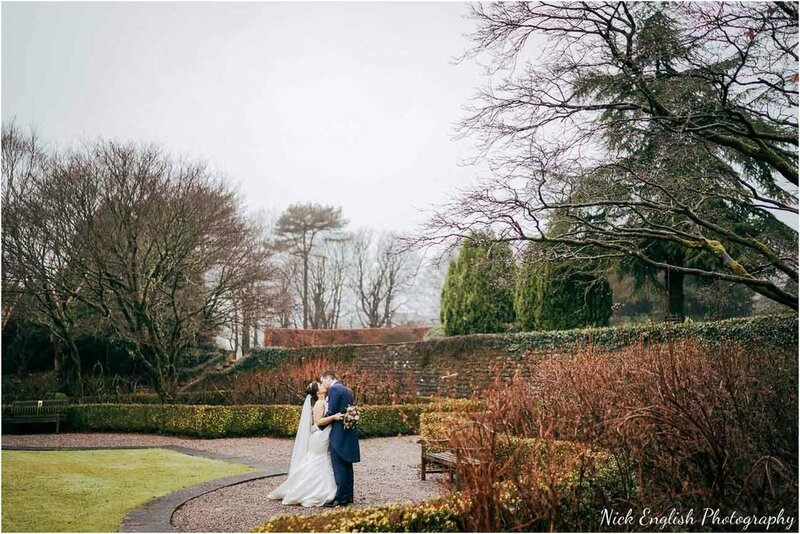 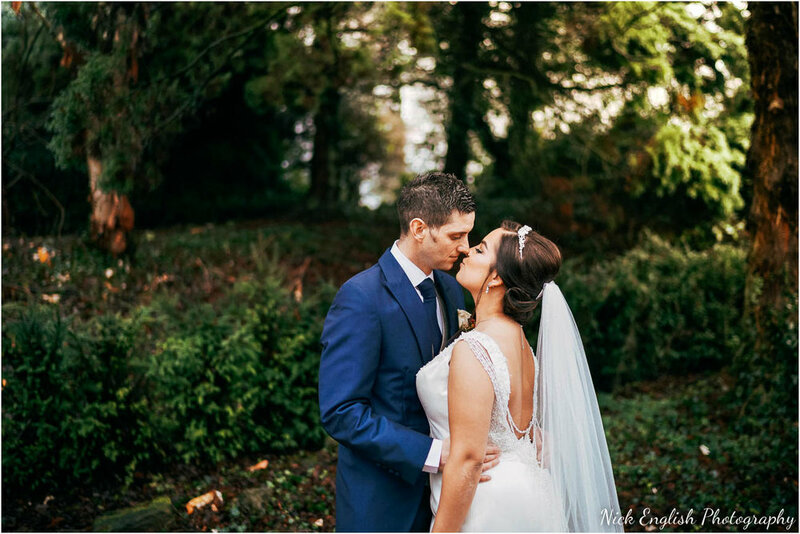 Jade & Jo's Christmas Eaves Hall Wedding began with a fantastic misty morning, where Eaves Hall was shrouded in fog - this only added to the atmosphere of the wedding day ahead, as Jade and her sisters got ready in the warm Eaves Hall Lodge. 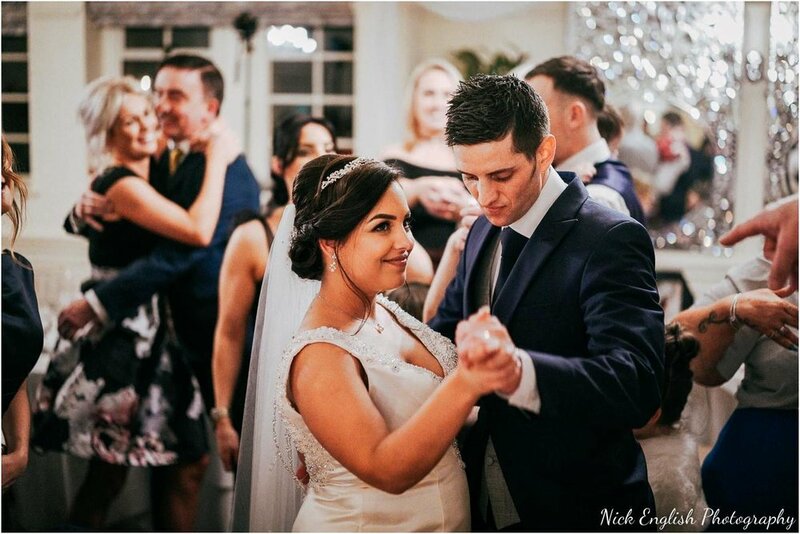 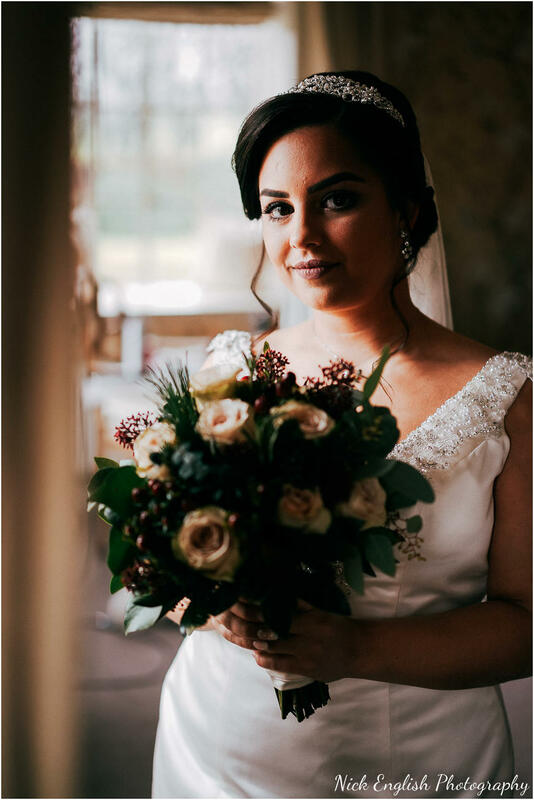 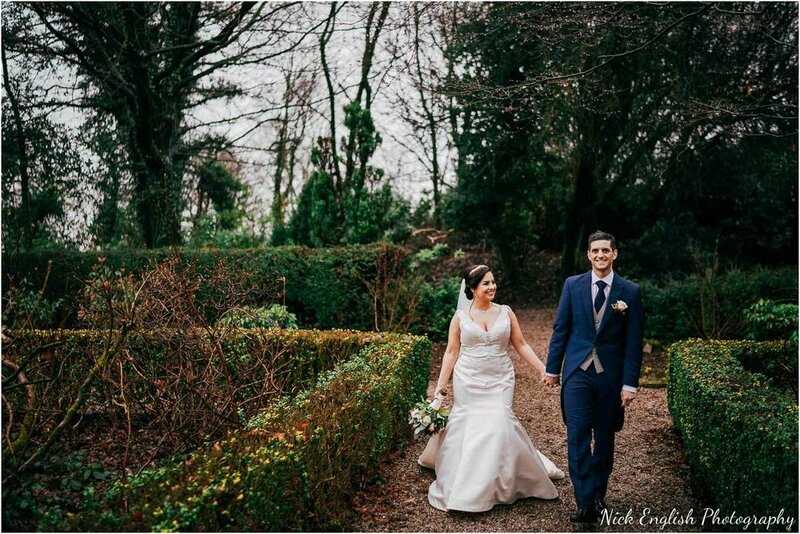 Around 11, we all headed over to the main Eaves Hall building, where the girls finished getting ready in the Kemple Suite – meanwhile the boys, in the room next door, were also getting ready – the fog began to lift outside as the guests arrived. 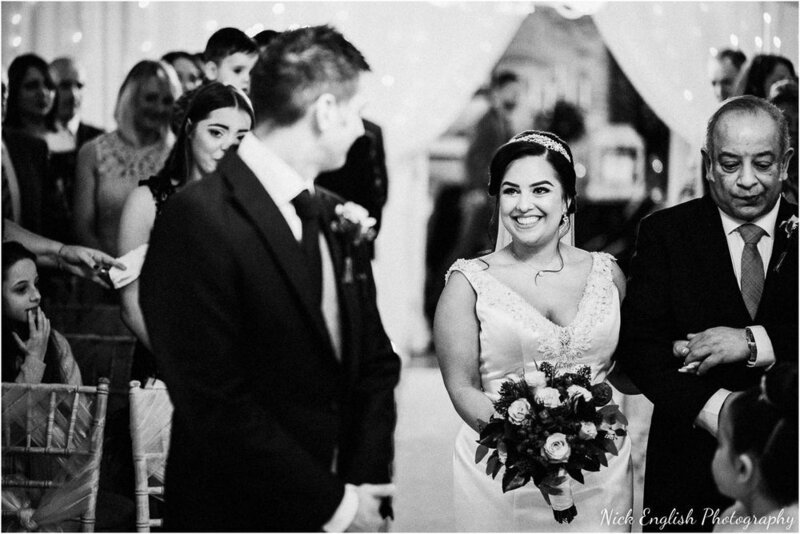 Jade looked stunning in her wedding dress, and I just love the photos of when her son came into the room and saw her in her dress, and then her Dad proudly walked her down the stairs. 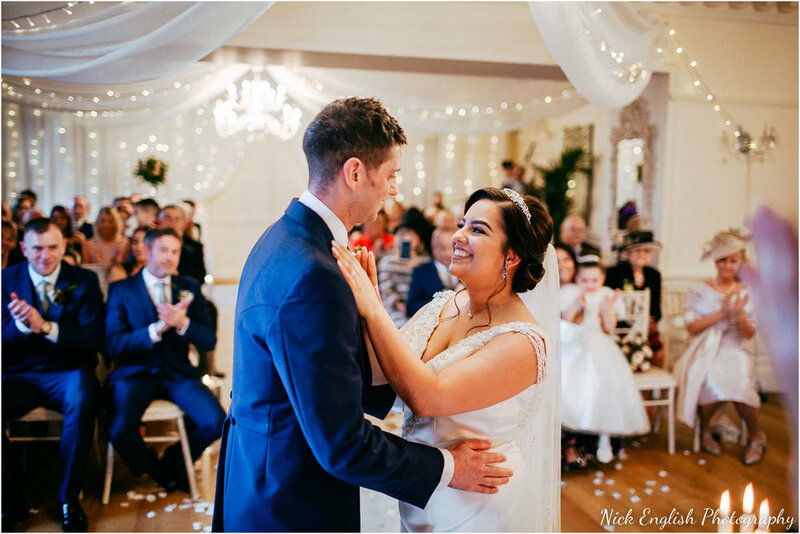 The ceremony was beautifully lit, with twinkling fairly lights throughout the ceremony room giving a real Christmas Wedding feel, only enhanced by the roaring fires and warmth of Eaves Hall. 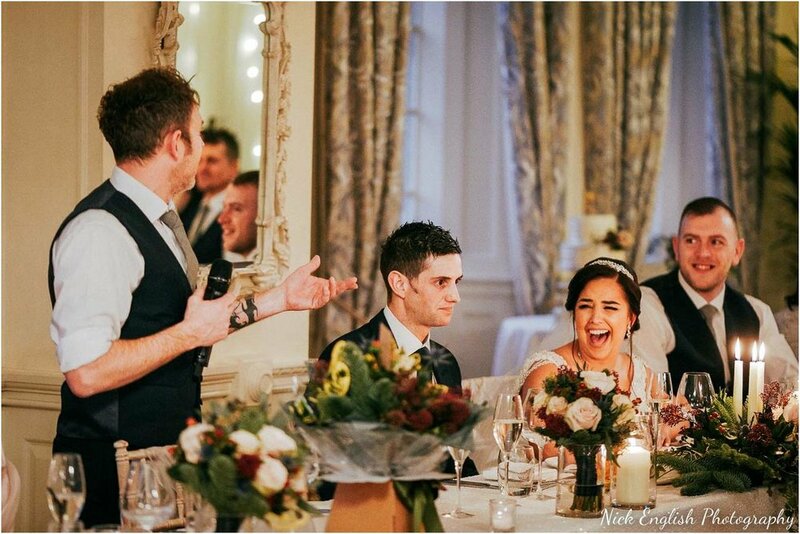 As you can see from the photos, the wedding ceremony was full of smiles and laughter, like it should be! 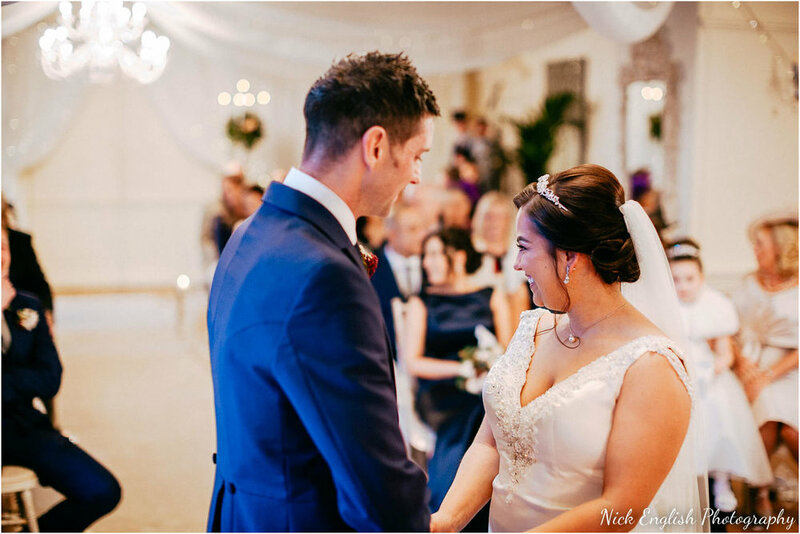 Their Eaves Hall Wedding day was spent with close friends and family, and it was obvious that everyone had a fantastic day. 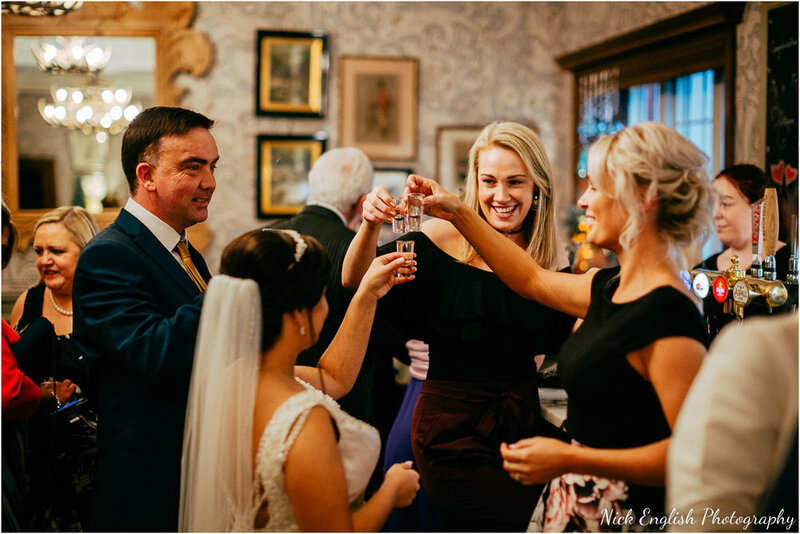 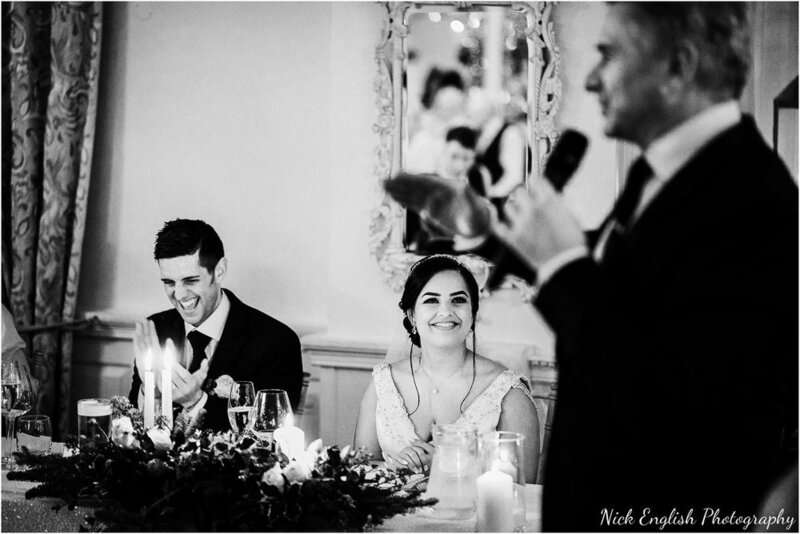 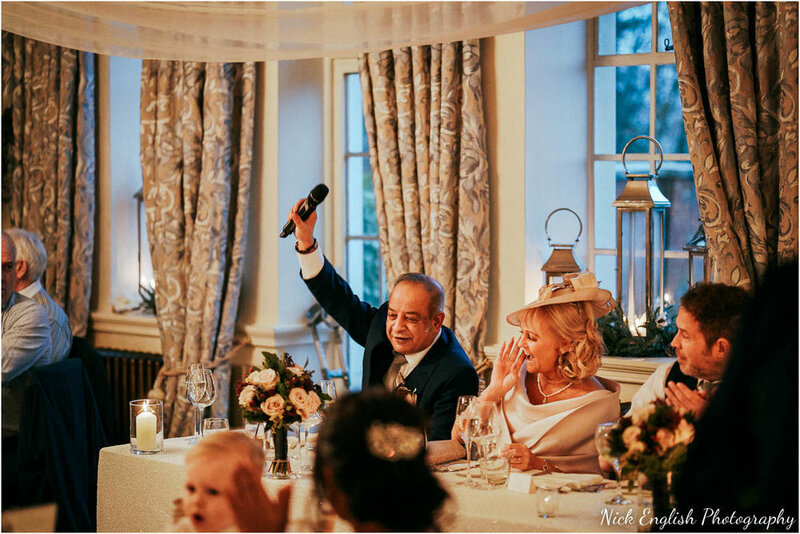 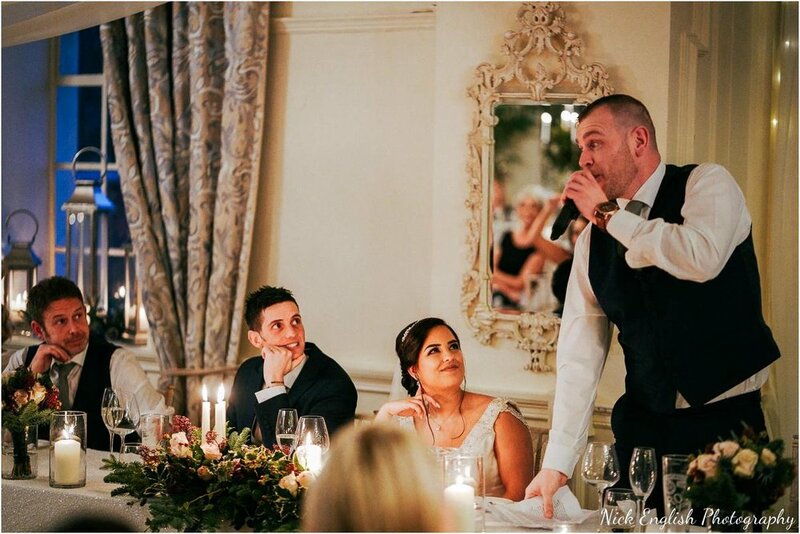 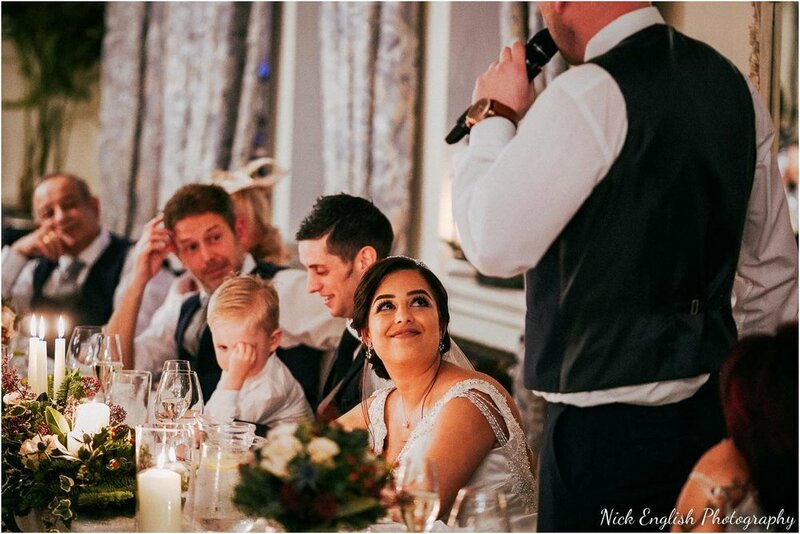 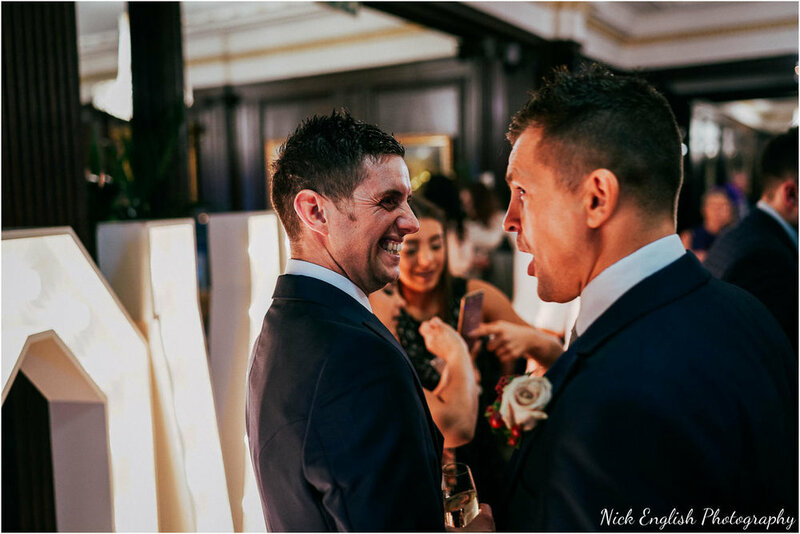 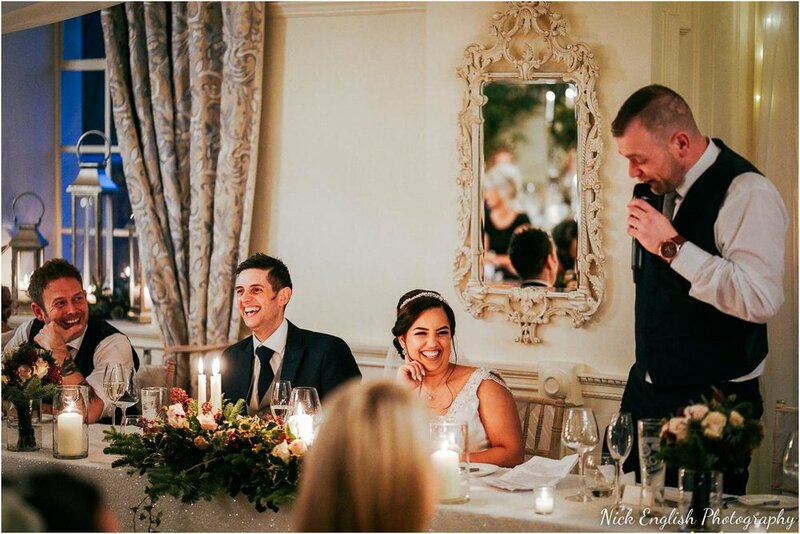 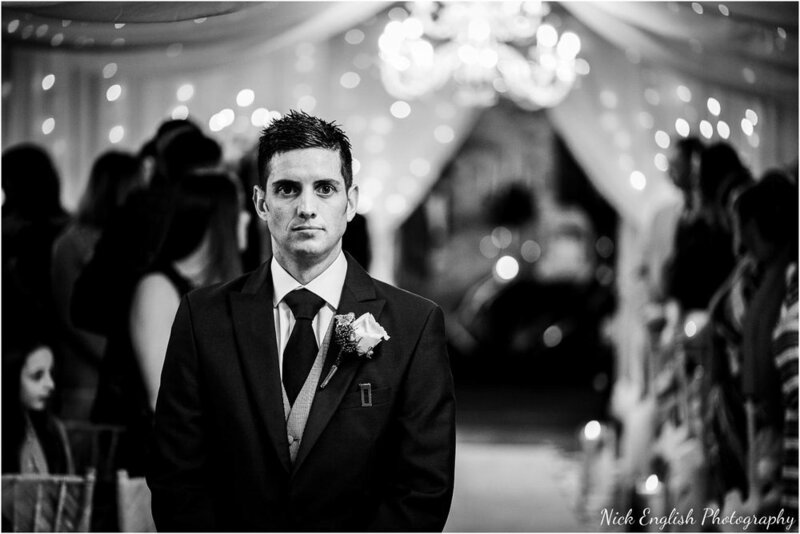 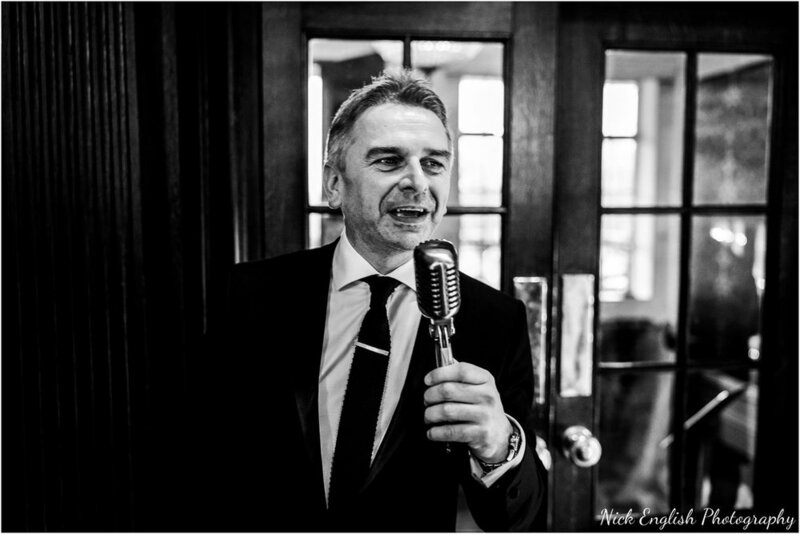 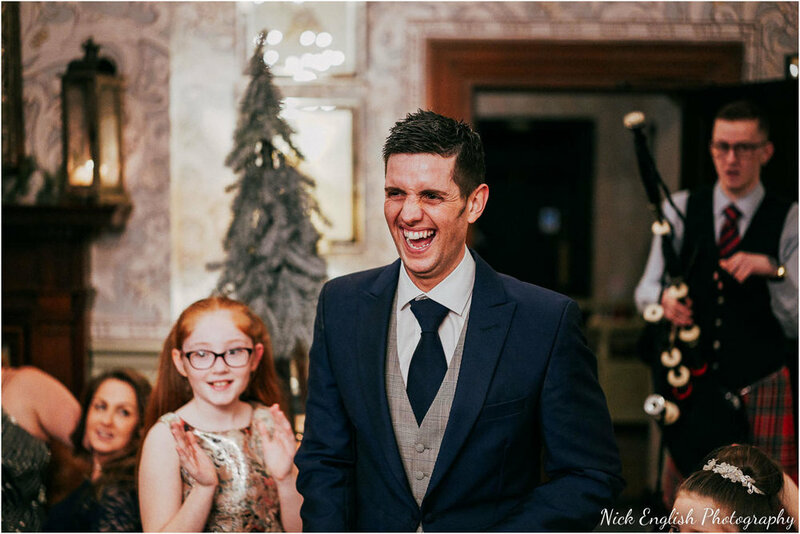 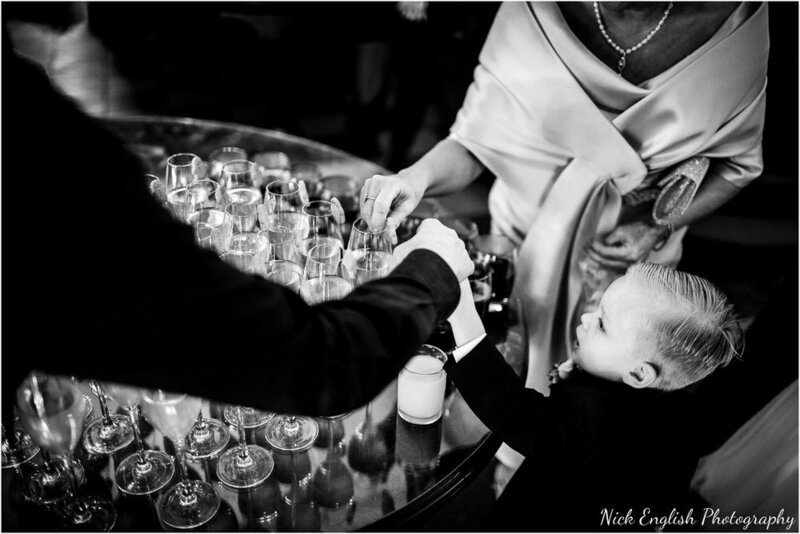 The speeches, one of my favourite parts of a wedding, were candle-lit giving a lovely warm atmosphere – very fitting for a Christmas Wedding just 3 days before Christmas Day itself! 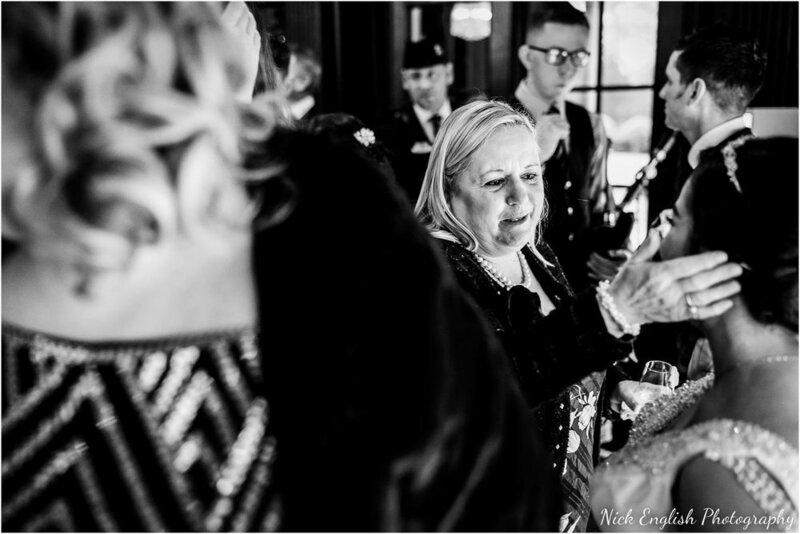 Later into the evening the mist returned, before Phenomenal Fireworks lit up the night sky with a fantastic display, all the guests were outside with sparklers – I personally love the final image of Eaves Hall warmly and brightly lit against the misty night sky, as the evening reception got into full swing thanks to DFC entertainment. 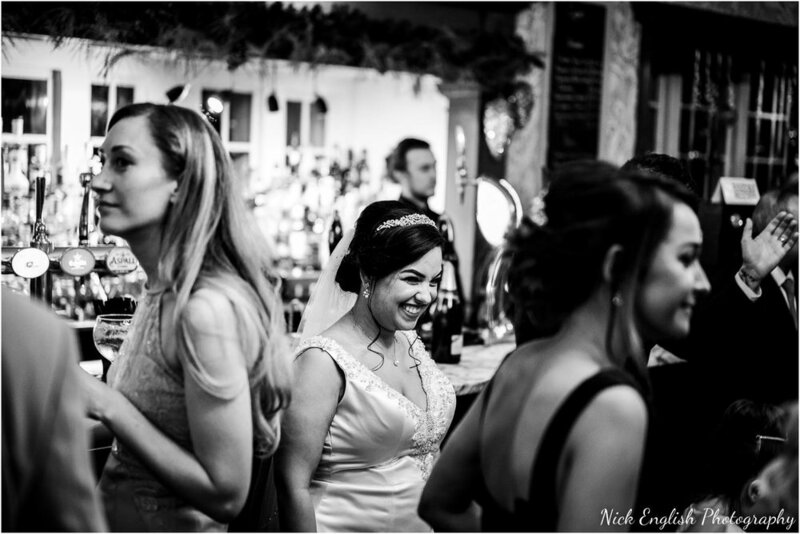 Please see Christmas Eaves Hall Wedding storyboard below!